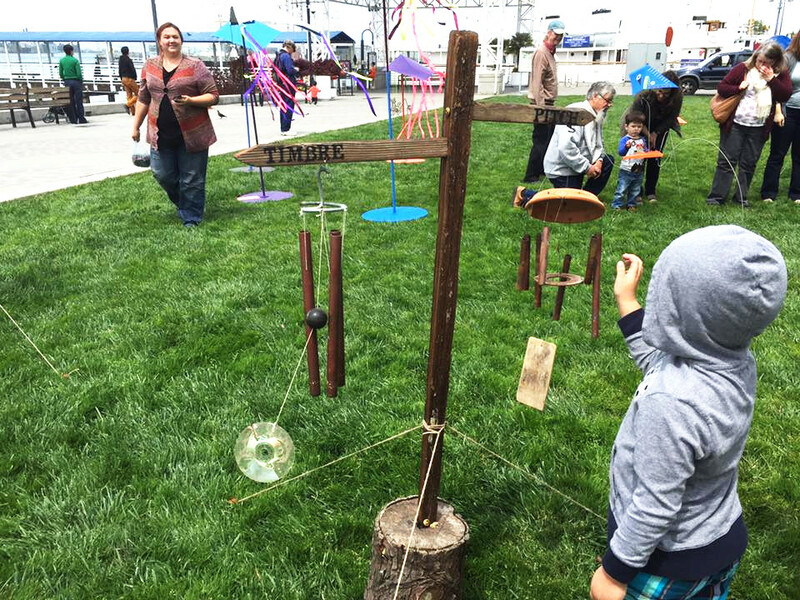 Thingamajigs is proud to announce the fourth edition of Aeolian Day, a free community festival where artists, musicians, designers, engineers, children, families, educators and sound makers come together to celebrate the sound of the wind. The event fosters creative collaboration of art, music and science through an exhibition of innovative sound sculptures. 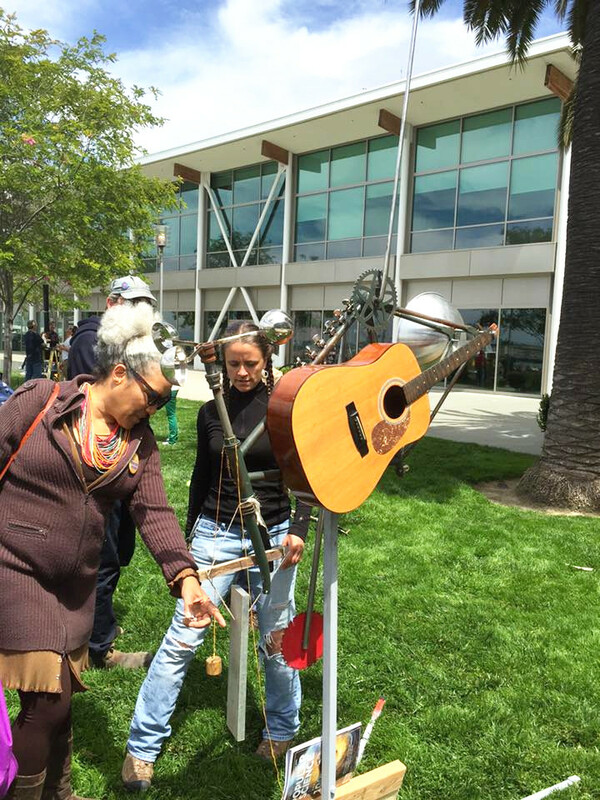 In past years, exhibits have included large, commissioned sound works among other wind-played instruments by diverse personalities such as cosmologists, a computer vision researcher, engineers, renowned composers, sculptors, and many installation artists who repurpose found objects to build instruments. For this year, participating exhibiting artists will include Hunter Brown, Bryan Day, Larnie Fox, Taylor Gersbach, Phillip Hermans, David Samas, Leon Schneiderman, and Sudhu Tewari. Like every year, Thingamajigs resident Teaching Artists will collaborate with local school children from Bridges Academy, Longfellow Middle School, Roosevelt Middle School, United for Success Academy, East Bay Innovation Academy, Junior Center of Art and Science, and Aurora School to create wind-based sound sculptures for public display and interaction at the Aeolian Day Festival. Teaching Artists this year include Dan Bales, Taylor Gersbach, David Samas, and Dr. no.e Parker. During the event, visitors will experience the sound of the wind as the sea-breeze plays the instruments, amidst a colorful community gathering for the weekly Farmer's Market. There will be direction signs throughout the venue to guide attendees to the display lawn. There will also be many food stalls and other eateries to help guests enjoy the event thoroughly. Artists will be present to explain their models and Thingamajigs will also have its personnel to assist. 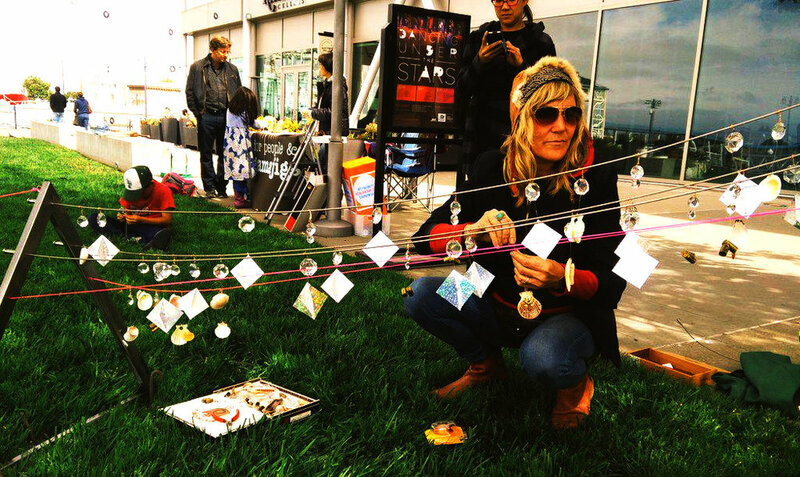 Aeolian Day 2019 will be held at Jack London Square, Ferry Lawn (next to the Ferry Terminal), on May 11, 2019: 11am-4pm. Admission is Free. 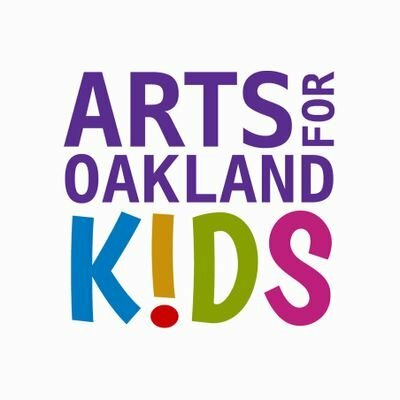 Aeolian Day is made possible in part by the generous support of the Alameda Art Commission, Arts for Oakland Kids, California Arts Council, City of Oakland Cultural Funding, and individual donations from the community.